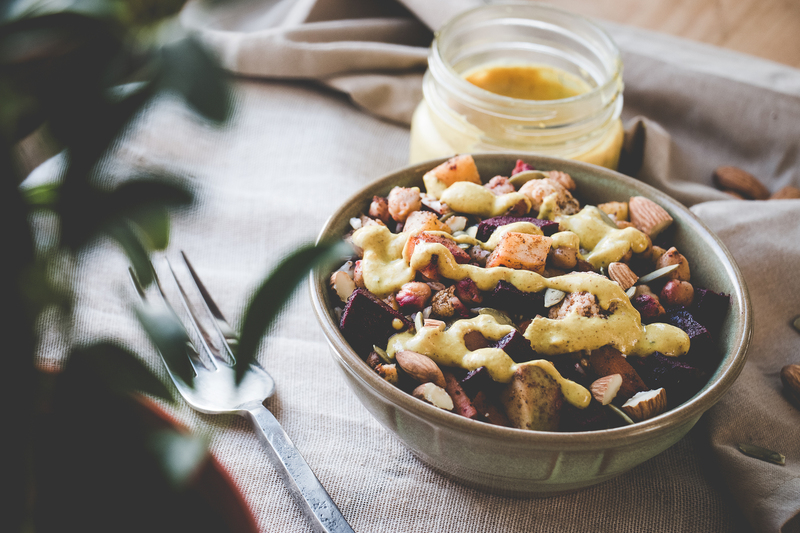 One thing I cannot get enough of is a big bowl of veggies, grains, and sauces—topped with extra crisp tofu. Before you run, I have a theory that everyone can enjoy tofu when it is marinated and perfectly cooked. Today we are doing just that. Grab a block of tofu friends. We’re making some Easy Baked Tofu! This recipe starts with a block of extra firm tofu—which holds up well when sliced. Once the tofu is dry, it is ready for the savory, salty and extra flavorful marinade. 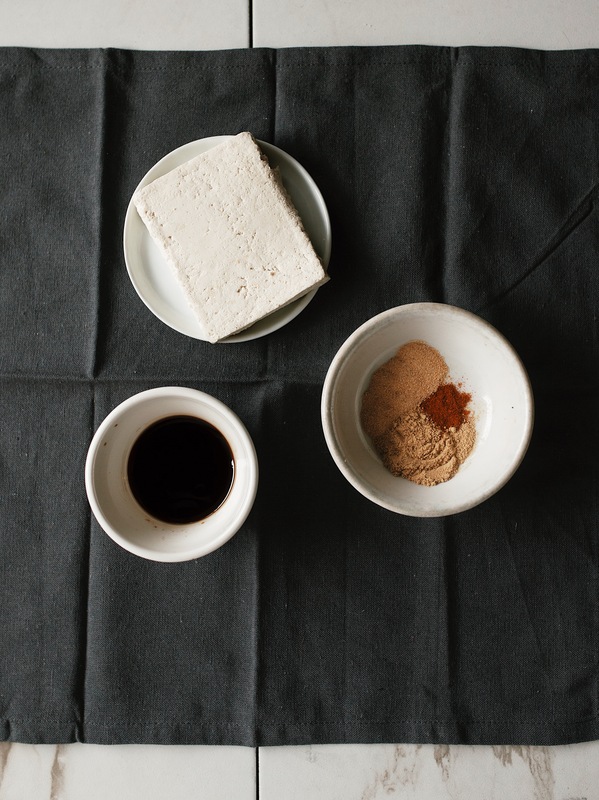 Tamari gives the tofu a dark color, sesame oil makes it crispy, and the versatile flavor of the garlic powder makes the tofu ready for any dish. This tofu is easy to make, hard to mess up, and ready for any dish. It is the ultimate addition to a buddha bowl, huge salad, or, when you just can’t resist, fresh out of the oven by itself. 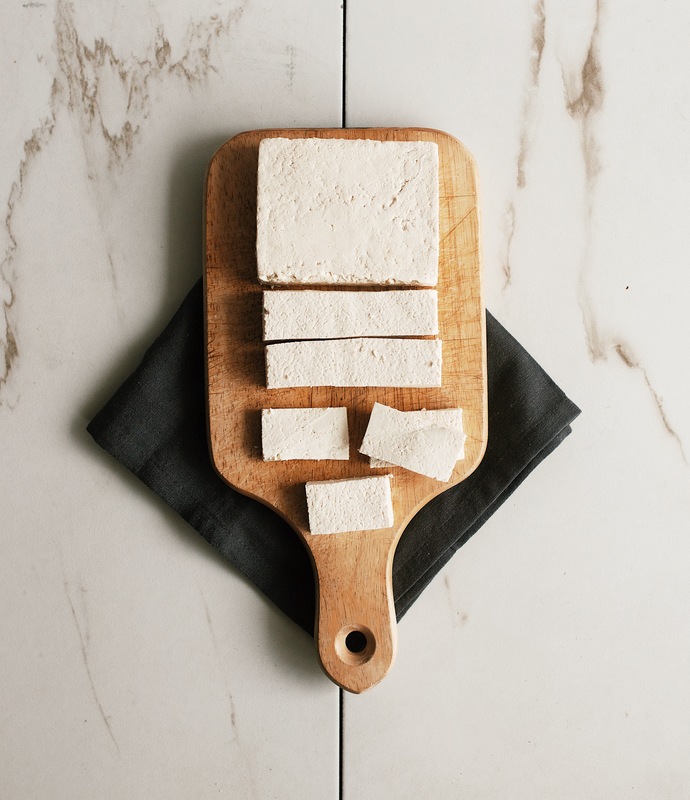 Today is the day friends, give this tofu a try—your opinion of the spongy white block might just change. 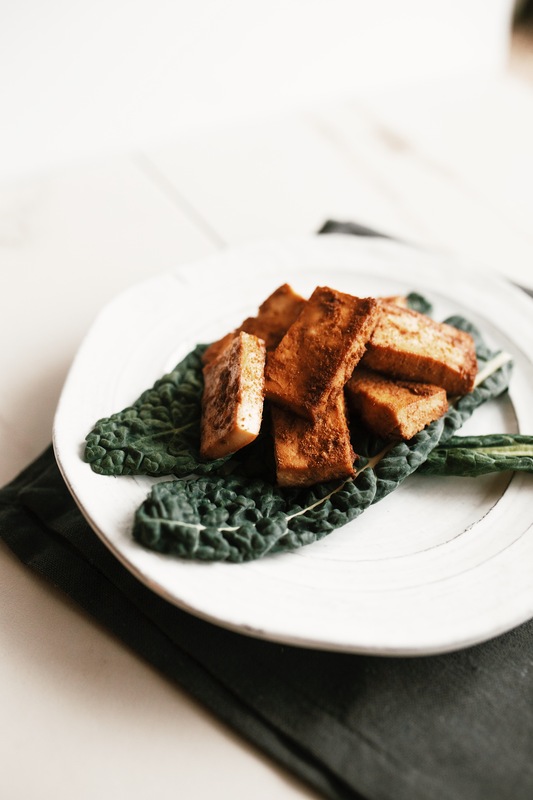 This easy tofu would taste great served with my smoky moroccan eggplant stew, coconut curry ramen, sweet potato buddha bowl, or my pineapple quinoa stir fry. 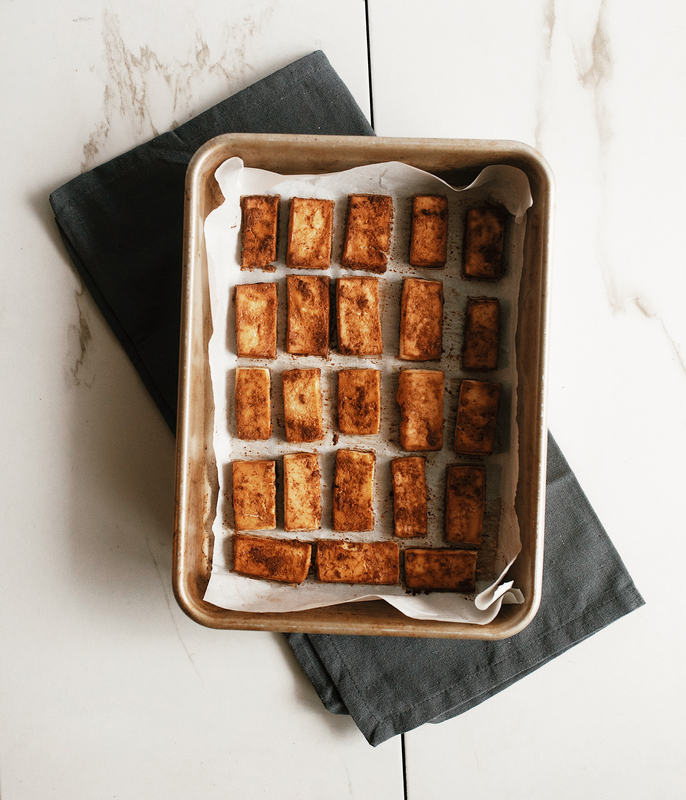 My easy baked tofu is simple to make and ready to pair with any dish. 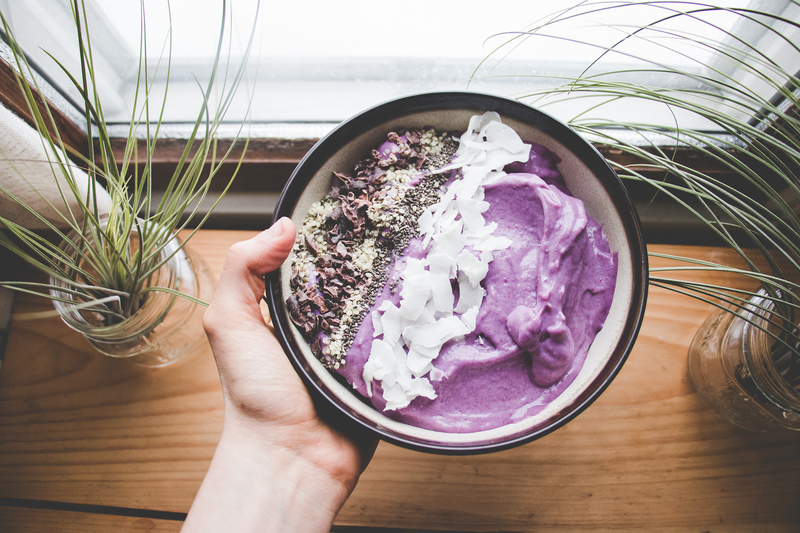 If you’re looking to step up your bowl and salad game, give this vegan + gluten free recipe a try! Preheat oven to 425°F. Line a large baking sheet with parchment paper and set aside. Wrap your tofu in a clean, absorbent towel. Set something heavy on top of it—to press out any extra moisture. Let sit with weight for 5 minutes. Meanwhile, make the marinade. Whisk together the tamari, sesame oil, garlic powder, ginger powder, and salt in a small bowl. Set aside. Remove tofu from towel. Slice lengthwise and then into thin rectangles (see picture). Add tofu to a large bowl. Cover with marinade and refrigerate for 10 minutes. 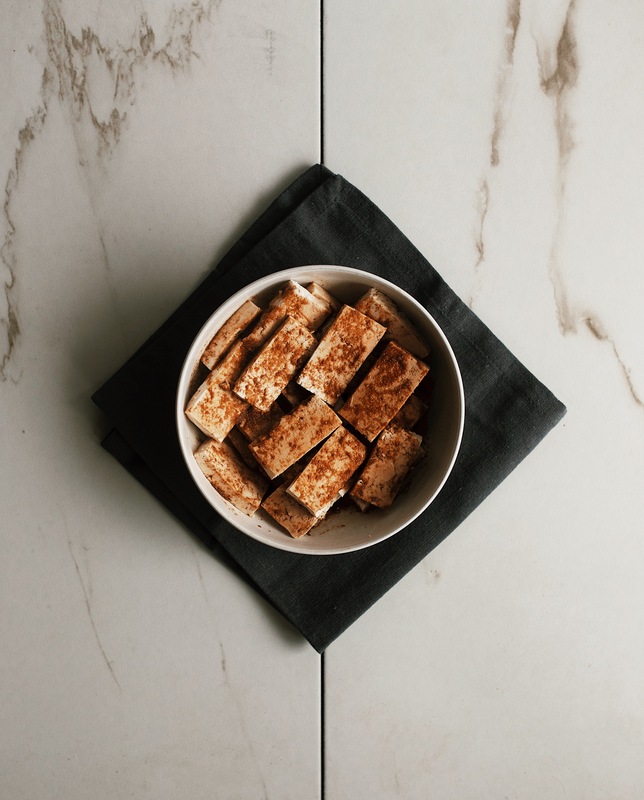 After tofu has absorbed marinade, spread rectangles across parchment-lined pan. 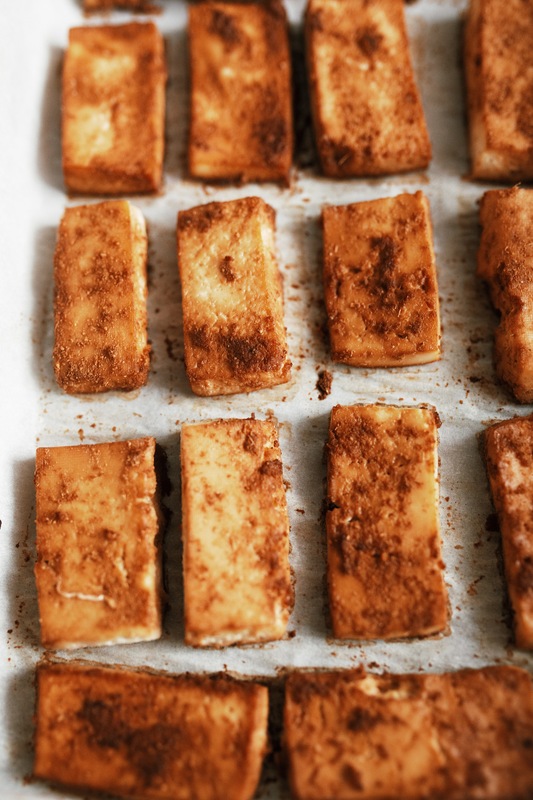 Bake tofu for 30-45 minutes, or until tofu is dark, crisp, and mostly dry. Serve warm over rice bowls, salads, or stir-fries. 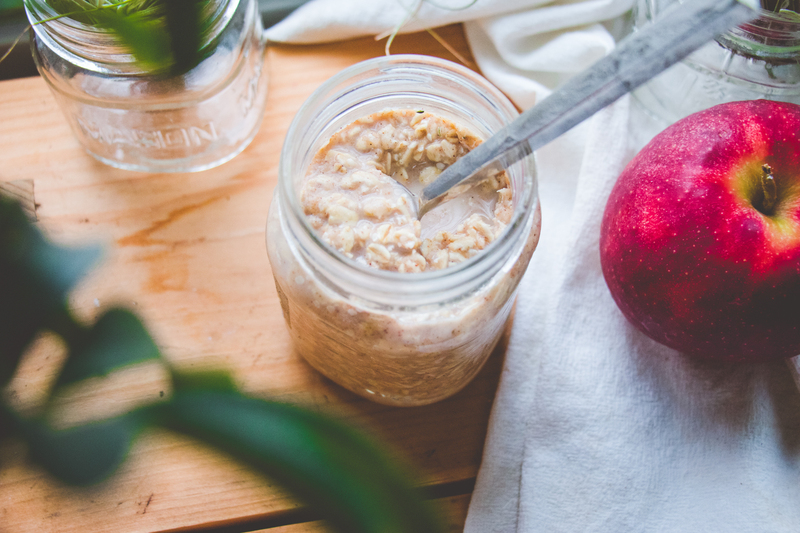 Leftovers will keep refrigerated in airtight container for up to 3 days though best enjoyed fresh.